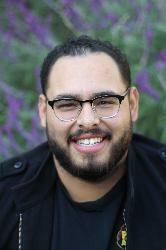 Please join us in congratulating Uriel Serrano, second year sociology doctoral student, who has been elected as Graduate Student Representative for the Pacific Sociological Association's (PSA) Board of Directors. His one-year term will start at the beginning of the 2018 Annual Meeting taking place March 28-31, 2018 in Long Beach, California. The PSA’s mission is to advance sociological research and teaching, and mentoring of the next generation of sociologists in the Pacific area.